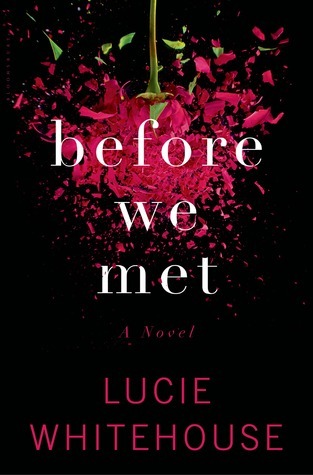 I love a twisty, tension filled psychological thriller and this certainly didn’t disappoint. From the moment that newly married Hannah is left waiting at Heathrow for her husband Mark to return from a business trip from New York, the reader is left in no doubt that all is not well. Mark’s initial attempts to explain why he wasn’t on the flight and how he lost his phone don’t entirely convince Hannah, especially when she finds out that his colleagues were expecting him to be somewhere else and she reluctantly starts digging a little deeper into their finances and his business. What she discovers devastates her and although she thought they were both very much in love, she is starting to doubt the man she married. When she questions his friends she discovers discrepancies which make her wonder about his past and the secrets he may be hiding. Hannah is no pushover, neither is she meek and silly, she is an engaging character with emotions and worries that you could identify with. They were introduced through mutual friends whilst they were both working in New York and she thought she had found her perfect man. She is determined not to be like her mother, who drove her father away with her constant checking and accusations of affairs and has taken a lot on trust. However her discoveries leave her feeling vulnerable and afraid – having given up her NY job when they married to live with Mark in London, she has no resources of her own and her initial fears that Mark is having an affair and planning to leave her feel very real. There were so many twists and turns in the story that it was difficult to decide between the lies and the truth. As the story progresses the tension builds and it takes a sinister turn. There were times when I was so concerned as to the danger that Hannah could be walking into that I was almost too scared to read on. I’ve read and enjoyed both of Lucie Whitehouse’s previous books The House at Midnight and The Bed I Made but this superbly crafted novel takes her writing to another level of suspense and I loved it! Old Rosa the bag lady shuffles along the streets of New York, stinking, silent and shunned by man and beast. Time and again her nephew, Michael Marcinkus the grocer, has tried to help – but Rosa remains unknowable, hushed inside her hulk. On the day of the St Patrick’s Day Parade, Rosa is in a terrible accident. As she lies in a coma, Mr Marcinkus visits her squalid flat and unearths something remarkable from the monstrous piles of junk: two glittering pieces of Hollywood history. How on earth does decrepit old Rosa come to own such treasure? And what is to be done with them now? Word of Rosa’s ‘Ruby Millions’ soon gets out, and these old articles of faith become an irresistible beacon for the misplaced hopes and darkest desires of an unforgettable cast of characters. Could a pair of priceless slippers really bring some magic into to a mundane life? Would an unexpected windfall bring a hope of happiness? Lives are changed, relationships tested and real values challenged. But in the hunger to possess the prize, will anyone stop to learn the incredible story of the woman to whom they once belonged? The Ruby Slippers is a rare and moving story about the search for meaning, and the meaning of value. “She stinks. It has to be said. Stinks to high heaven”. This is our introduction to Rosa, the old bag lady who walks the streets with her dog Barrell who stays with her when no human will. Her nephew and only relative, Michael Marcinkus is called to her hospital bed after she is involved in an accident during the Parade. When he and his wife Grace go to her apartment they are disgusted by the squalor and filth that she lives in. Nothing has ever been thrown away, not even rotten food. However in amongst the filth and stench they find a box containing a pair of ruby slippers. Gradually we are told of Rosa’s story and how she acquired such beautiful items. We meet a cast of characters who appear to be completely random – a troublesome teenage boy, a 14 year old girl who feels abandoned by her father, a rich, sick and bitter old man raging against life and a man keeping a vigil at his dying lover’s hospital bedside. All have their own voices and their own part to play in the story of Rosa’s slippers. This is an extremely well written debut novel but I have to admit to feeling disappointment that it didn’t quite live up to its promise. For me, there was a lack of engagement or connection with the characters and at times I felt it was over-written. 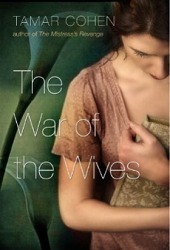 The story travels from Latvia from the start of WWII to America with the tragedy of war movingly portrayed. I would have liked to have known more about Rosa’s history and I felt that she wasn’t given the prominence in the story that she deserved. Greed, loss, family secrets and regrets are just some of the facets of this story. There were many parts of the book that I enjoyed however sadly it won’t be a memorable read for me. 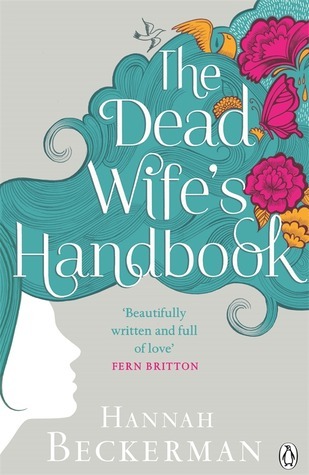 The book will be available through Lovereading and other booksellers in March 2014. Keir Alexander was once an actor and stage manager before working in film as a writer and director. He is now an English teacher living in Sussex where he plays cricket as often as he can. 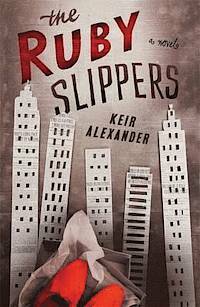 The Ruby Slippers is his first novel. I’ve only had my book blog for a few months but I’ve really enjoyed spending time on it and being part of the fabulous blogging community. To all you very kind people who have helped and supported a newbie blogger – a huge thank you. I’m still finding my feet in the world of blogging but am so looking forward to 2014 and all the enticing books I have on my shelf to be read and those that I have yet to hear about. My wishlist continues to get longer thanks to all your irresistible reviews and recommendations – I only wish there were more hours in the day to read all the books I want to. I’ve read so many great books this year and it was so difficult to choose just a few – my list could have been much longer! I love Jodi’s books and always eagerly await the next one. I’ve been lucky enough to see her a few times now in London when she does her annual book tour. She always comes across as being such a nice, genuine person and is so interesting to listen to. Even though it had me in tears, The Storyteller is probably my favourite JP book to date. I am always pulled towards dual time frame stories and this was one of the best that I’ve read. It had a very dramatic start and I was gripped from the very first page. With strong characters and a very well researched storyline, this is a definite ‘must read’ Reviewed here. This was the first book I have read by Tamar Cohen and it definitely won’t be the last. I loved the style of writing and was hooked from the first page. 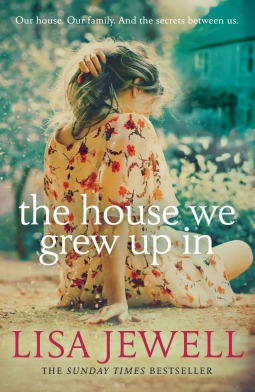 The main characters are so different but superbly written. Reviewed here. 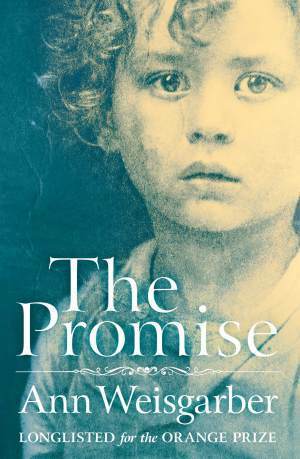 This was an excellent debut novel about a difficult subject but which is done with such care. An incredibly moving and poignant read. I’m a fairly recent convert to Lisa Jewell books. Ever since I read The Truth about Melody Browne in 2010, I’ve loved her style of writing and each book gets better. She is now firmly established as a favourite author. 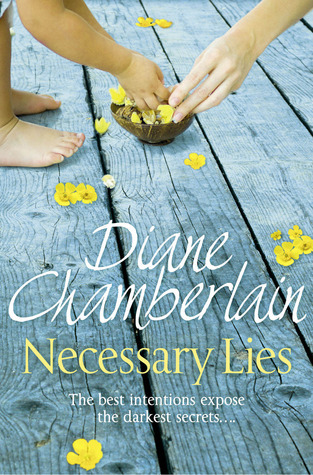 Diane Chamberlain is another who writes about difficult and controversial subjects with such ease and finesse. This storyline of this book was particularly hard hitting and thought provoking. Reviewed here. This book hasn’t yet been released (27 Feb 2014) but I loved it so much I couldn’t leave it out of the list. This is Hannah’s debut novel and what a wonderful start to a writing career. Reviewed here. I’ve enjoyed most of Tasmina’s books but unlike her usual style of writing about glitzy and glamorous personalities this one took quite a different direction and it absolutely worked. I really hope she writes more like this. Reviewed here. It took me a while to come to this book but I am so glad I did otherwise I would have missed a real gem. 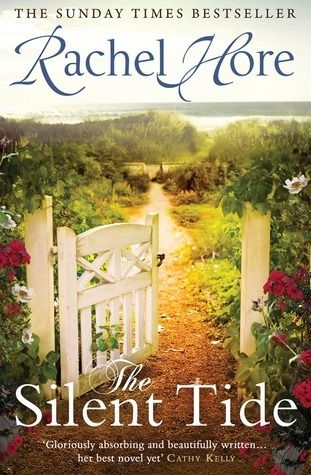 The story was based around a true event of 1900 and the landscape and lives of the characters were so vividly described. An incredibly powerful and moving story. Reviewed here. and finally, I could not list a year of favourite books and not include Jojo Moyes. I’ve now read 6 of her novels and every one has been a 5* read. This is another that hasn’t yet been released (27 Feb 2014) but it is just a wonderful story with characters that you will make you laugh and cry. Reviewed here. I would just like to wish everyone a very Happy New Year and a healthy and happy 2014. May your bookshelves forever be overflowing! Single mum Jess is struggling. Since her husband Marty upped and left she has tried to provide for their young daughter Tanzie (Constanza) and teenage stepson Nicky (Marty’s son from a previous relationship). She has to do two jobs but the debts are mounting and despite her positive outlook and cheerfulness, she can’t see life getting better any time soon. When maths prodigy Tanzie is offered the chance of a partly paid scholarship to go to an exclusive and very expensive school more suited to her incredible talent, Jess is desperate to find the funds. Ed Nicholls is a computer whizz. He and his friend Ronan have built up their own software company and having sold it, are now very rich. However he was happiest when he was just the ideas man, before the “suits” came in and ran everything. 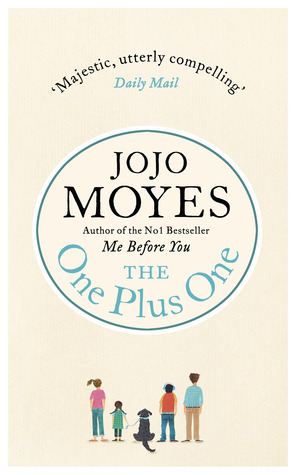 JoJo Moyes has long been a favourite author and when I was given the opportunity to review this book, I was overjoyed. She just writes a wonderful story with such believable characters that you can engage with and feel that you could be friends with. Jess and Ed have completely different lifestyles but when Ed comes to Jess’ aid following a road accident, all four (plus Norman the dog) end up travelling to Scotland together to a maths Olympiad competition. 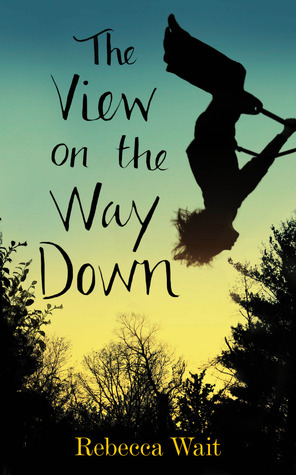 This is Tanzie’s only chance to get out of the local school where people that are clever or different, like her brother Nicky, are teased and bullied. Nicky has been attacked several times by the local bullies and Jess does not want that to happen to Tanzie. Due to an error of judgement, Ed is now facing a police investigation. He has nowhere to be for the moment and since he recognises Jess as his cleaner, he decides to help. However he hadn’t reckoned on sharing the car with Norman, a smelly, flatulent, drooling, enormous mass of fur. Neither had he considered that he wouldn’t be able to drive above 40 miles an hour because of Tanzie’s car sickness. Hence a journey from the south coast to Scotland would take several days. I fell in love with Jess and her family (…and also with Norman). None of them are perfect, but they try to be good people and to do the right thing but time and time again life just slaps them in the face. Whilst during the journey, Jess discovers a secret about her husband, you can’t help but feel for her. Ed too has his own demons to deal with, particularly when it comes to his family. Can Jess be the one to bring some meaning to his life or are they just too different? All the characters are wonderfully written with emotion and humour. You just find yourself rooting for them and willing them to overcome the obstacles constantly thrown their way. I laughed with them and shed tears for them and felt quite sad when I came to the end of their journey. I really didn’t want to say goodbye. When a young woman rushes into Sam Capra’s San Francisco bar and whispers these desperate words, Sam feels compelled to help. A moment later she is attacked by two killers. With Sam’s aid, she manages to overpower the men, saving his life in the process before vanishing into the night. I’ve read and enjoyed Panic by Jeff Abbott but hadn’t yet read any of the Sam Capra series. This book is number 3 and whilst it would be an advantage to have read the previous two, I felt there was sufficient backstory for this to easily be read as a standalone. Sam Capra is an ex-CIA agent, who owns a string of bars across the globe whilst working undercover for a powerful and mysterious secret network called The Round Table. They are seemingly the ”good guys”. He has no desire to go looking for trouble and just wants a quiet life with his young son, but when he gets caught up with murderous Russian mobsters and a sinister network of people who will stop at nothing to achieve power and success; he ends up fighting for his life. I really liked the character of Sam. He is tough – he knows how to look after himself and can kill when he has to but he is not a villain. He is loyal to his friends and if you were in a corner, you would want Sam on your side. Jeff Abbott has created a ruthless cast of characters. Even the good guys like Sam and his female boss Mila, have nerves of steel. There is a lot of violence however it is neither gratuitous nor graphic. The story centres around one man, John Belias and his hunt for a young woman named Diana Keene, the daughter of one of his operatives. Diana Keene has information that could destroy Belias’ network. A man so powerful, he can invoke feelings of terror in those he instructs to carry out his murderous deeds if they don’t succeed. It seems that nothing can stand in his way, he is able to control the authorities to ensure there is no hiding place for those he has his sights on – and he now has his eye on Sam Capra. This was certainly an action packed thriller from start to finish. Some elements of the story may seem a little far fetched and at times complicated but who cares. I don’t want to give away any spoilers as it is a story best discovered by reading it but this is a pacy read, full of twists and turns and double crossings which will keep you turning the pages. I’m sure this would appeal to fans of Greg Hurwitz and Simon Kernick. I for one will certainly be catching up with Sam Capra’s history and look forward to reading future books. My thanks to The Crime Vault for the paperback copy to review.